Men and women are vital to the development of the American Muslim community, however the absence of women as authoritative voices in our sacred spaces undermines our efforts to empower women, youth, and other marginalized groups in our community. Muslim women are highly educated, with expertise in fields such as Medicine, Social Services, Education, Islamic studies, and non-profit development. Numerous articles point out that many talented Muslim women lose interest in working within the Muslim community because their contributions are not valued. The value our communities place on women’s perspectives is especially noticeable at our events, as “Qualified women scholars and other professional and activist women are not invited to speak” (Women and Mosques ). At events aimed at broader Muslim audiences, male speakers dominate public speaking and many issues that affect female congregants are noticeably overlooked or presented in a one-sided fashion. 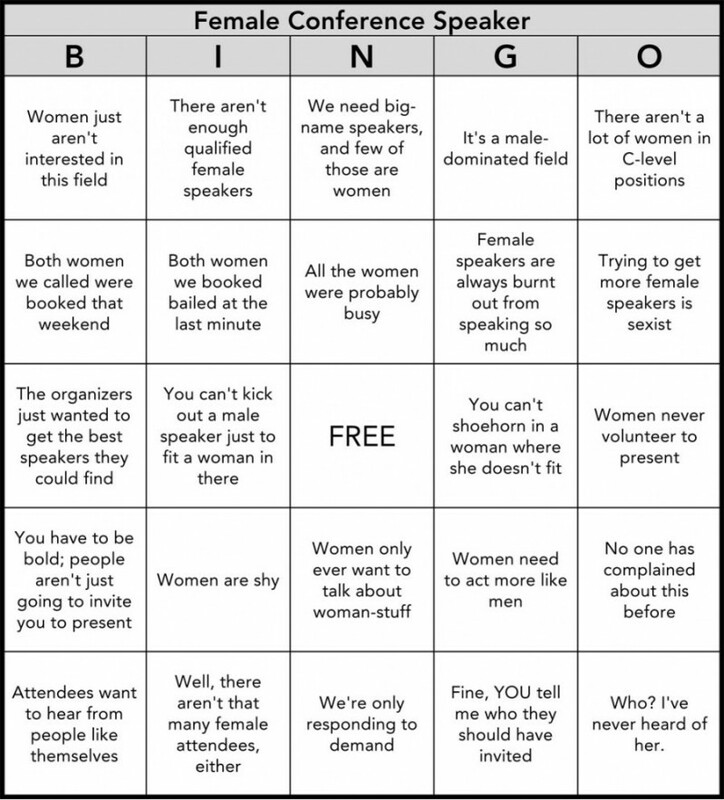 Some have pointed out that conference organizers often include a token woman on their programs. Muslim women should not be tokens;their voices and perspectives should be integral to all programming. This lack of representation contrasts with the work that women do as backbones of our communities, organizing and working in the background to ensure that our faith communities are provided with valuable services. Excluding women ultimately hampers the development of our community. It robs us of their important insights and critical expertise in fields pertinent to building healthy Muslim communities. Mosque leadership could take some lessons from the corporate world, nonprofits, and leading education institutions, which value inclusion and diversity. Forbes Insight writes, “Multiple voices lead to new ideas, new services, and new products, and encourage out-of-the box thinking.” (Forbes Insight, N.D., pg. 4). But even more significant is that we should draw upon the spirit of our traditions of shurah (consultation) which takes into account the perspectives of representatives of those who are affected by a decision. This includes incorporating the voices of women in planning, decision making, and speaking up for our issues.The consultant group, Linkage writes, “Inclusive organizations focus on attracting, developing, and advancing women and underrepresented populations by removing roadblocks, gaining stakeholder buy-in, and developing opportunities for growth” (Linkage, N.D). Muslim community centers and masajid should develop more inclusive practices for three reasons: 1. women role models allow our girls and young women to see themselves as belonging to the community and being vital, as well as valued; 2. the representation of women will also attract talented women to participate to lend their expertise to help create thriving communities ; and finally, 3. A better representation of both genders will expand the conversations that communities need to have about critical issues so that we can be more effective in meeting today’s challenges Below you will find a list of recommendations that can help encourage inclusive practices. Have a diverse organizing panel that includes input from both genders, community members from various socioeconomic backgrounds and ethnicities. At minimum a planning committee should be representative of your community or congregation in terms of gender, ethnicity, religious orientation, and age. Consider a planning structure that can accomodate people’s needs. For example consider teleconferences, Skype or Google Hangouts for people whose schedules may not permit meeting. Inquire with people and experts who have experience organizing diverse conferences. Reach out to other communities not just for attendees and participants, but for advice on organizing your event. Find new speakers in your community who may have a fresh perspective on issues. Women perspectives should be included not solely as separate events or panels, but women’s voices should be on joint panels that feature male and female experts speaking on a topic. This will allow for deeper discussion and multiple perspectives on an issue. Do not assume that women can only speak to women’s issues. Ask women to speak on issues in their area of expertise or training. Even when an event has a limited line up, it is possible to include women’s voices by inviting a sister to introduce the speakers, moderate the panel, or direct the question and answer session. Where resources permit, offer play areas or child-care facilities so that women with children are not prevented from participation. Offer a stipend for childcare for female participants and panelists. If you’re concerned about funding, do not be afraid to use crowdsourcing to help offset the costs of including sisters on your panels. Organize a special session for sisters to speak to scholars because they have less social access to male leadership. Be mindful that seating arrangements can prevent women from being able to engage with the content of the lecture. Be sure to allow women equal access to the speaker. To locate talented women, utilized online resources such as Zahra Billoo’s list of Muslim Women Speakers and or turn to social networks to find the hidden gems locally and nationally. If the event is separated by gender, include a microphone in the women’s area. Because many Muslim women prefer separate spaces for privacy or nursing children, provide a private space where they can hear and view the program. Gather feedback from teens, college students, and young professionals under 25. Have a member of the youth speak on a panel, give an opening, or moderate a panel. Offer full or partial scholarships and student rates for tickets. Organize a panel or discussion group focused on issues specific to the youth. When organizing consider the ultimate goal of the event: Is it to raise awareness in the broader community? Is it to problem solve? Is it to gather supporters? Is it to raise funds? Is it to educate? And then develop strategies to engage the audience in a meaningful way. Organize a workshop or breakout sessions that will allow the attendees to engage more with each other and the subject. Consider ways you can integrate Learner Centered Practices in your conference. Encourage participants to ask questions by allotting time for Q&A session.This may take rigorous timekeeping because some speakers tend to go over, which cuts into time for Q&A. Consider creating a workbook or lecture outline for the audience to follow. Have someone record minutes or provide a summary that can inform people who were not able to attend.